This year’s New Generation Thinkers have been announced by BBC Radio 3 and the Arts and Humanities Research Council. These 10 academics, all at the start of their careers, will have their research made into TV and radio programmes on the BBC – with much to interest psychologists. For the first time, the scheme will this year be joining up with BBC Four, where some of the academics will be given the opportunity to present a full-length TV programme. Applicants were invited to show how their research could be presented to a broad audience, and this year’s shortlisted topics cover a wide spectrum of arts and humanities. Some have personal connections to their subjects, including a study on gang culture from a former youth worker, and an examination of government surveillance from a former marine. Others, although rooted in history, remain acutely resonant today: the role of children in war, the job of press attachés, the reception of Shakespeare and Milton in the Middle East, how music might be used for its health benefits and the ethics of population change. Among the researchers named were Emma Butcher (University of Hull), whose research investigates children’s experiences and responses to war in the 19th century, including the writings of the Brontës. With their own voices in journals and letters she will tell the stories of children through an original lens. 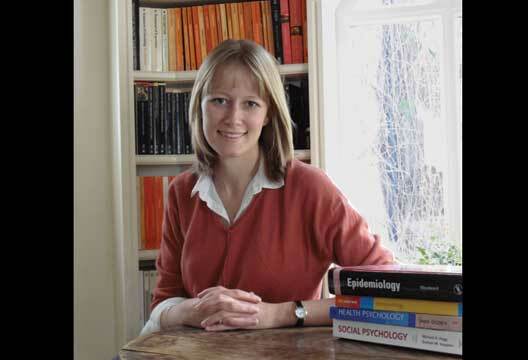 Daisy Fancourt (pictured above), from the Royal College of Music and Imperial College London, examines the effects of the arts on neuroendocrine and immune response and the use of the music within clinical settings, and the impact of arts and cultural engagement on public health. She also works with the NHS designing arts and clinical innovations programmes. Her award-winning research is now involved in exploring how drumming can reduce anxiety, maternal singing can reduce postnatal depression, being in a choir can improve immune function in cancer patients and attending a concert can reduce stress hormones. Alistair Fraser from the University of Glasgow, who researches issues of youth and crime in a global context, will focus on representations and realities of youth gangs in three very different cities: Glasgow, Chicago and Hong Kong. He will probe the nature and impact of gang myths – in courtrooms, the media and the street – questioning the social and legal consequences of gang stereotypes for young people. As well as his scholarly research, Alistair has carried out a long-term study of gangs in Glasgow working as a youth worker and high school tutor.